Both of the caves in this park were created by cave-ins and not by the normal lava flow that you expect to see. 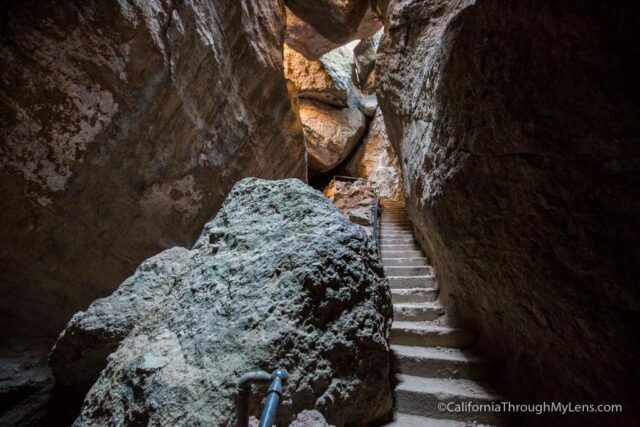 They are really fun to explore as they have massive boulders to climb over and light peaking into the darkness due to the uneven ceilings. Here are the two main caves. The High Peaks Trail can be hiked multiple ways in the park based on what side you come in. 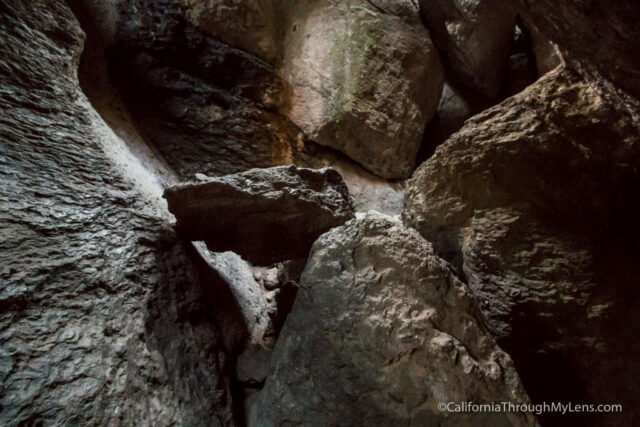 My favorite way to do it is to pair it with the Bear Gulch Cave and to make a 6-mile loop out of it. Read about it by clicking the image below. There are a few more stops to see on the East side, which include a viewpoint for the High Peaks and the visitors center. 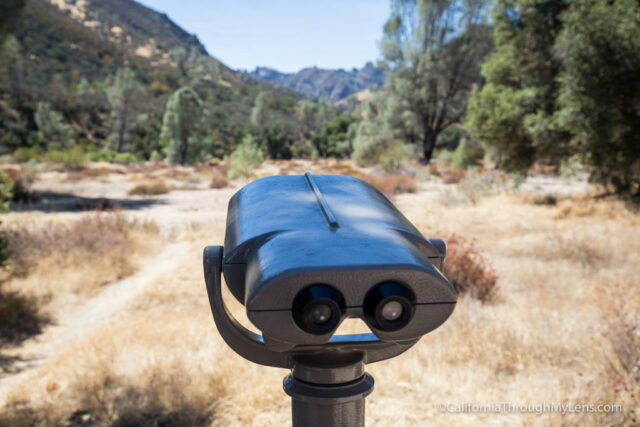 The High Peaks Viewing area lets you look through a telescope to see the High Peaks in the distance. The visitors center is staffed with docents that can tell you where to explore as well as food and maps. 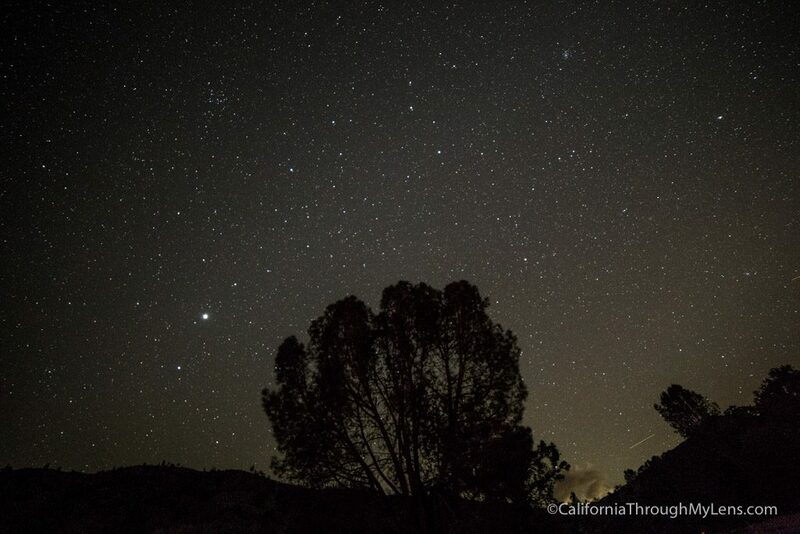 Pinnacles National Park is relatively remote, which gives you the option of seeing some great dark skies. This photo was taking from right outside of my tent and it shows how many stars are visible. 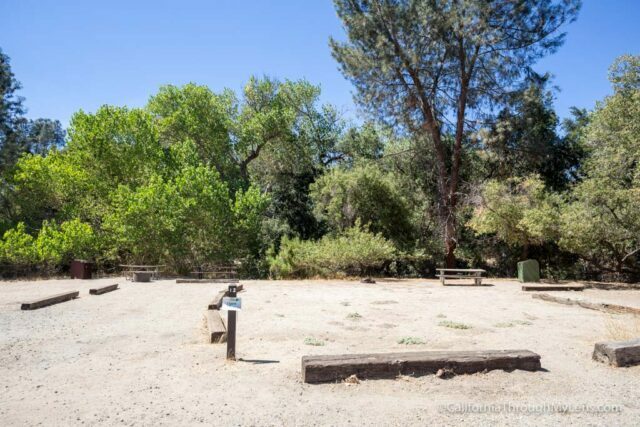 There is only one spot in the park that you can stay and that is the campsites on the East side of the park. 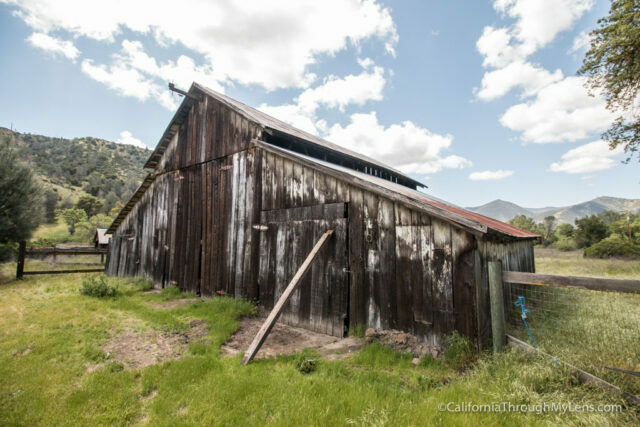 If you are visiting from the West, the closest town to stay in would be the town of Soledad. Current price is $15 but I always spring for the year pass to all the National Parks which is $80. 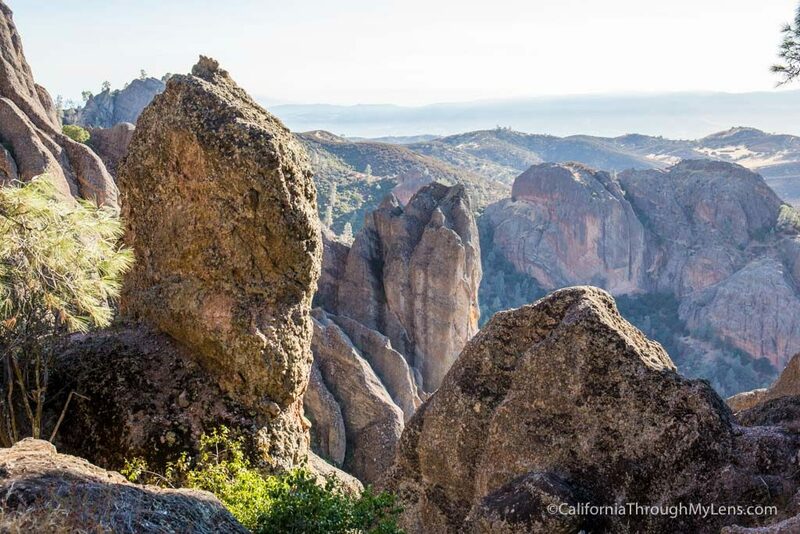 Pinnacles National Park is not visited like the other parks in California. It will still be busy on holiday weekends, but if you go during the week or off times then you shouldn't deal with many people. Also, summer is not a good time to go to the park because it is so hot, so I would recommend spring or fall. Where can I eat in the park? 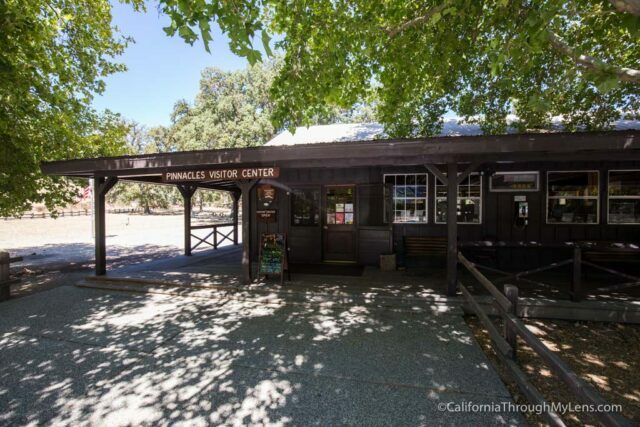 There are no restaurants in the park, but the visitors center on the East side has gas station type food that you can purchase if you are hungry. Where can I see Condors? The condors normally hang out near the backside of the High Peaks Trail, looking down into Condor Gulch. I saw a half dozen when I was there while hiking this trail. If you want to see highlights of this park via video, here is a video I made on how to explore the park in 24 hours. Here is a video I made on the High Peaks Trail as well. 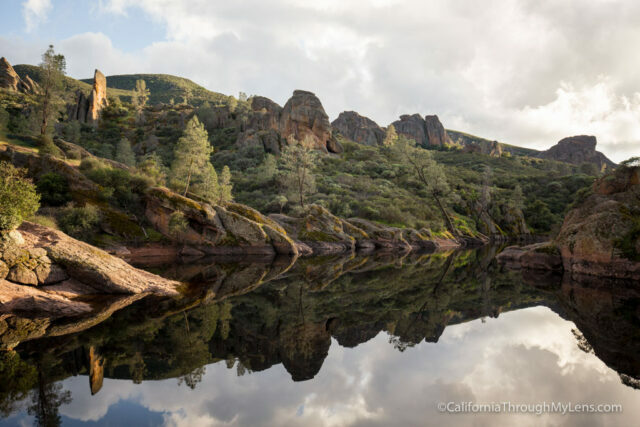 Now it is your turn, what did I leave off this list that you love exploring in Pinnacles National Park? Be sure to leave them in the comments so that others can find them as well.